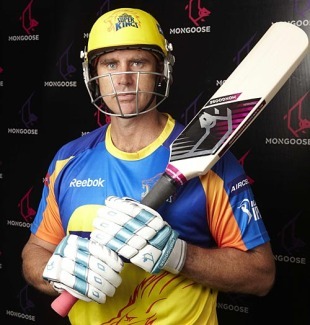 Mathew Hayden is ready for the IPL with his mongoose bat. We can witness some spanking from him and it will be carnage. :--D Here is an article which describes the bat: 'Mongooseâ€™ bat could revolutionise cricket Former Australian batsman Stuart Law has become the first player to use the new Mongoose blade in a cricket competition. This latest evolution in cricket bat design has sparked fears that younger players will be turned off bowling. The Mongoose bat, with a handle as long as the blade, is not even the craziest design the Marylebone Cricket Club - the gameâ€™s lawmakers - have been presented this past year as Twenty20 spawns a new wave of invention, reports an Australian daily. The MCC has already rejected dozens of submissions, including one bat with holes drilled into the blade for aerodynamic purposes, described by observers as a "Swiss cheese bat". But they passed this one, used for the first time by former Australian batsman Stuart Law during a county Twenty20 match on Tuesday night. The MCC found that it met all requirements under law six of regulations regarding the make-up of a bat, and they are not concerned about the possible ramifications for bowlers. The Mongoose is tailor-made for the short format. Subtlety is not its strong suit. With a five-centimeter thick base that boasts a sweet spot twice the size of that on a traditional bat, even the pace bowlerâ€™s saving grace - a yorker - can be dispatched to the ropes. "The Mongoose has the potential to revolutionise cricket," said Law, who is contracted by the batâ€™s manufacturers to spruik its powers. "Without changing your technique, the bat allows you to hit the ball harder and further. Its power is phenomenal. Itâ€™s a weapon of mass destruction," Law added. A company spokesman said there was "every chance" the bat, with a starting price of 159 pounds, could make an appearance at the Twenty20 World Cup as negotiations were under way with other international players. The ICC has no problems with that prospect because it complies with MCC law, although, looking at its design, some wonder how that could be. 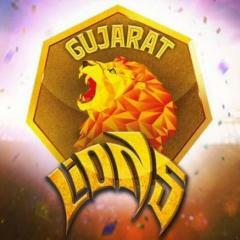 "When Twenty20 came in, people said it would be the death of the spin bowler, and, over time, it has proved that spin bowlers are the most successful. I donâ€™t think we need to be worried about fast-tracking laws to help bowlers. Weâ€™ll see how it [influences games] and then obviously consider if laws need to be tailored," MCC spokesman Neil Priscott said. hmm should be interesting to see Haydos swing that toy. This news actually is old - about the Mongoose bat. And personally i do not take kindly to it. Am not surprised that the MCC found nothing wrong in it. After all they found nothing wrong with Gilchrist placing a squash ball within his glove too! ^ MCC is the "White man's baby". We all know that, don't we? MCC's hypocrisy and naivety never fails to surprise me. ^ MCC is the "White man's baby". We all know that' date=' don't we? MCC's hypocrisy and naivety never fails to surprise me. [/quote'] im sorry what does "white people" have to do with anything? In a thread about the mongoose bat meeting the requirements of the MCC how has it turned into MCC being racist? Have they allowed white people to use the bat and not black people? i have got to check one of these out. Double faced bat will not be used. Andrew Symonds and Dwayne Smith have signed up for using the mongoose bat. Hayden plans to use it strategically i.e he would be using only his normal bat most of the time. I dont see the logic in using such bats. The moment anybody uses mongoose bats, the bowlers are well advised to bowl short. With the mongoose bat, the batsmen more or less are forced to play pull or hook shots. Or the more talented ones can try dabs and guides over the keeper. I am not sure this is going to be all that effective. Mongoose = zero pitched up balls. That simple. That's a cool looking bat.. seems like you can pack a punch, especially down the ground. the bat looks tailor-made for slogs and hoicks! They should call it "Paddle" instead of Mongoose. Was it used in today's game? I'll catch the highlights, if yes! Was this used in today's game? Hayden didnt use it, got out too soon. Was browsing the Mongoose website when came across this: http://www.mongoosecricket.com/mongoose-pros/krishna-narayan Isnt that the 4 year old that is on Youtube having a bat? Unless the mongoose website has been hacked and someone has added the kid cant see why they would do this.